"The Triple Warmer CD made my mind very clear and I felt both relaxed and alert. Tonight I'm going to sleep with the EARTH CD and am wondering how I will feel in the morning. This is the most amazing production." "A beautifully moving and artfully-composed sonic sound-scape. Yuval Ron uses this 'elemental' theme as a creative departure point to present music that heals the mind and creates deep alpha-wave brain states (the state of mind one achieves in deep meditation)This set will be perfect for any healers, bodyworkers, yogis, artists, or holders of sacred space, anyone who wishes to promote healing or in need of it themselves. This music is a perfect accompaniment for working in the studio on art. I highly recommend this work and it will make a great addition to anyone's musical library... 5.0 out of 5 stars A Deep Wholeness, a Healing Journey through Sound"
"The production is first-rate. Package notes include photographs and biographical sketches of the musicians and a few scientific references. Thus, the set will provide energy, deep relaxation, and a sense of well-being. I cannot judge if it does indeed support healing. Moreover, I cannot recommend it for musical listening, but for Music Therapy, this set is certainly among the best available, and those interested in alternative medicine, naturopathic approaches, Oriental Medicine, and the New Age style may find the albums very worthwhile. [For those purchasing the sonically deficient .mp3 version, liner note healing information may be found on the mettamindfulnessmusic web site. - Dr. Debra Jan Bibel "World Music Explorer" Read Dr. Debra Jan Bibel's full review at Amazon.com. "Extensive and brilliant array of work..."
"A masterful moving musical meditation like no other. Check it out and be amazed!" 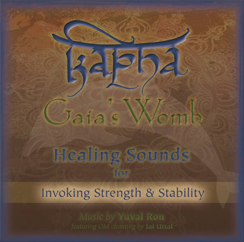 "......evocative and supports music therapy and flow... penetrating drones, pulsing breath wind, light melodic phrasing of the wind instruments, mantra vocalise, and environmental samples (birds, for instance) create atmospheres of deep calm or internal power...support yoga, tai chi, acupuncture and massage, and any slow and gentle movement." "A sonic vibration that is perfect as accompaniment for spiritual practice or as soothing background music. Once you press play, you'll want to listen all day." 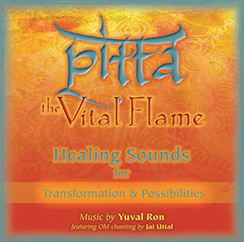 "Really exquisite healing mystical music by Yuval Ron, Jai Uttal, and many gifted artists." "When using Metta Mindfulness Music you are transported inward to listen to the eternal music within you. Great for healing and meditation." "I’m approaching four weeks of becoming one with my new hip. It is an amazing process, the most salient part, for me, has been switching from thinking of the metal of my hip being a foreign object coming into my body, to understanding that elemental metal is of the earth, as am I. That in fact with no "glue" whatsoever, the bone immediately begins to embrace the titanium. They merge as I apply more weight they become strong. I am so grateful that I was able to reach back in my bodywork training, before I went all western and connective tissue-y, back to eastern thought, to the 5 elements, to metal. And, in the beauty of the universe’s timing, this past summer I was delighted with and very touched by some work my friend and colleague Rick Gold did on the six healing sounds of traditional Chinese medicine. 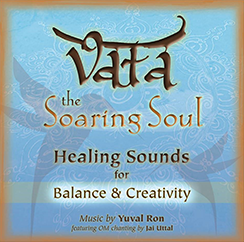 In collaboration with a gifted musician named Yuval Ron, they created a set of CD’s – one for the sound of each of the five elements (and corresponding body systems), and one for the triple warmer (integration piece) –and this music I have played continually, especially Metal. In this way, several times, I was able in deep meditation to feel this merging of metal and bone. AWESOME! The instruments used to create these sounds were guitar, bamboo flute, glass harmonica, bass, didgeridoo, guzheng harp, and oud. And the human voice." - Diana Panara, M.S., Senior Bodywork Teacher and Practitioner. "Very beautiful and soothing. Great job!!!!" "A gorgeous composition of healing sounds"
I have been playing 6 healing sounds in my practice for patients and it is magical. The patients mentioned that the music was very beautiful and have felt very calm wile listening to it. Now that I have this music, I feel that my treatments are more complete, more powerful, fuller and more meaningful. It is a very enriching and beautiful experience. "A great way to calm and focus." "..I can attest for a profound clarity - emotionally, mentally, physically, spiritually - discovering, learning, and listening to the music of Yuval Ron has invigorated my heart and redirected my orientation to music.."
"Water CD is in play in my yoga pilates and dance warm up classes for the whole week and ...it's super relaxing-focusing and heart opening." "A yoga class is always uplifting but something extraordinary happened on Saturday night and I think it had a lot to do with Yuval's exquisite music playing in the background while we did our asanas." "I traveled through the chambers of my existence with this music." "This is possibly the most beautiful thing I have ever heard - it transports me to somewhere special and very beautiful." - Inside Timer app user M. from Australia. - Sadhvi Bhagawati Saraswati, President of Divine Shakti Foundation, Secretary-General of Global Interfaith WASH Alliance and Director of International Yoga Festival.